'I am a Christian' is the confession of the martyrs of early Christian texts and, no doubt, of many others; but what did this confession mean, and how was early Christian identity constructed? 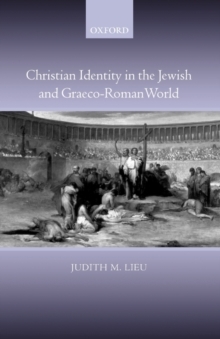 This innovative study sets the emergence of Christian identity in the first two centuries, as it is constructed by the broad range of surviving literature, within the wider context of Jewish and Graeco-Roman identity. 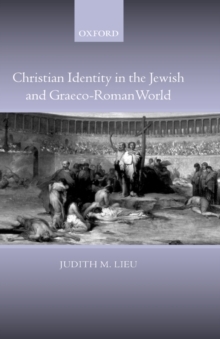 It uses a number of models from contemporary constructionistviews of identity formation to explore how what comes to be seen as 'Christian' literature creates a sense of what to be 'a Christian' means, and traces both continuities and discontinuities with the ways in which Jewish and Graeco-Roman identity were also being constructed through their texts. Itseeks to acknowledge the centrality of texts in shaping early Christianity, historically as well as in our perception of it, while also exploring how we might move from those texts to the individuals and communities who preserved them. Such an approach challenges more traditional emphases on the development of institutions, whether structures or credal and ethical formulations, which often fail to recognize the rhetorical function of the texts on which they draw, and the uncertainties of howwell these reflect the actual practice and experience of individuals and communities. 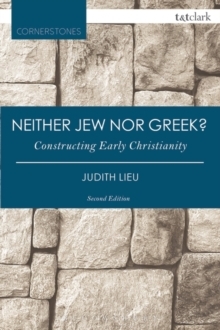 While building on recent recognition of the diversity of early Christianity, the book goes on to explore the question whether it is possible to speak of a distinctive Christian identity across both the range of earlytexts and as a pressing historical and theological question in the contemporary world.